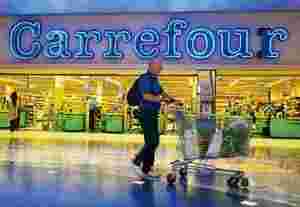 New Delhi: The world’s second largest retailer by revenue, Carrefour SA is again struggling to find a partner for its Indian expansion after talks with the latest in a long line of potential allies, New Delhi-based real estate firm MGF Developments Ltd, ended without a deal. A person with knowledge of the development who didn’t want to be identified confirmed the ending of talks with MGF. As a result, this person added, the French company no longer expects to sign a franchisee partner in India in 2008. He said the firm was talking to several possible partners, but declined to name these. An MGF spokeswoman said the company “continues to explore strategic relationships with leading domestic and global brands". She added that her company had never “committed to any discussions" with Carrefour and that any “conclusion or reference in this regard is nothing but mere speculation". Six months after the deadline, Carrefour is still without a partner. Somesh Dayal, marketing director of Carrefour in India, declined comment on whether his firm had ever been talking to MGF for a potential partnership, and said while it is still looking for a partner, the primary focus is on the wholesale venture. He added that there were six companies with whom Carrefour was talking to for a potential partnership, but discussions were still in an initial stage. Last year, Carrefour had floated two separate units in India, Carrefour WC and C India Pvt. Ltd to roll out fully-owned wholesale stores, and Carrefour India Master Franchise Co. Pvt. Ltd, which was to partner with an Indian company to open the French firm’s branded stores in the country. Although India allows foreign retailers to sell directly to other retailers or institutions, it bars them from selling to individuals. Single-brand retailers, however, are allowed to own up to 51% in Indian arms that can sell to anyone. The franchise route, where a foreign retailer appoints an Indian firm as a franchisee, is one way companies such as Carrefour can operate in India. Over the years, Carrefour has been in preliminary conversations with Bharti Enterprises Ltd, real estate companies DLF Ltd and Parsvnath Developers Ltd and Mumbai-based business house Wadia Group among other local firms, for a possible alliance. Carrefour’s troubles in finding a partner come even as a boom in the nascent organized retail sector in India is tapering off, with firms that entered the business struggling to succeed in a complex market. So far, Reliance Retail Ltd has around 700 stores, though well short of its September 2007 target of 2,000 stores. Basmati exporter Rei Agro Ltd entered retail with some 200 grocery stores called 6Ten but has shuttered dozens of these in recent months. Indiabulls Retail Services Ltd, part of the group that also has a presence in financial services and real estate, has shut four of its nine Indiabulls Megastores. Mumbai-based HyperCity Retail closed its pilot small stores and abandoned plans to open about 250 grocery outlets by 2012. Analysts and experts, however, say India’s modern retail business will grow over time. A recent report by consulting firm McKinsey amd Co. said the number of potential shoppers at branded stores in India will jump fivefold in the next eight years from 13 million households currently to 65 million households or 300 million consumers. That could explain why the world’s top retailers including Wal-Mart Stores Inc., Tesco Plc., Metro AG and Carrefour are betting on India. Wal-Mart has forged an alliance with Bharti Enterprises for a wholesale retailing venture while Tesco plans to set up a wholly owned cash-and-carry unit similar to Germany’s Metro. It is unclear whether Carrefour’s inability to enlist a local partner will in any way affect the company’s plans to open its fully owned cash-and-carry stores by mid-2009. In Wal-Mart’s case, the joint venture it has with Bharti will feed into retail stores wholly owned by the latter. And Tesco has a similar arrangement with the Tata group’s Trent Ltd.